Not all reverb is created equal equal equal. Demo the DR600 and you'll be amazed at how rich, textured and downright realistic every setting sounds. This premium pedal features 6 high-resolution reverbs: Hall, Plate, Spring, Modulate, Room and Gated (Gated Reverb), giving you state-of-the-art studio processor quality. Its dedicated Level, Tone and Time controls let you tune in exactly the reverb texture that you're looking for. It incorporates a bright blue power status and battery condition LED plus a sturdy footswitch which preserves signal integrity in bypass mode. 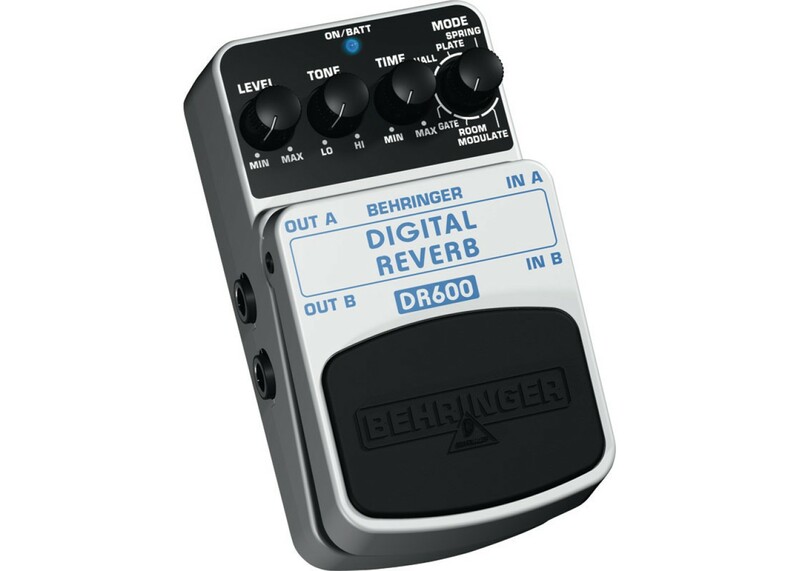 The DR600 pedal operates on a 9 V battery as well as with our BEHRINGER PSU-SB DC power supply, giving you the flexibility you require when on the road. Treat yourself to reverb so rich it could be fattening. 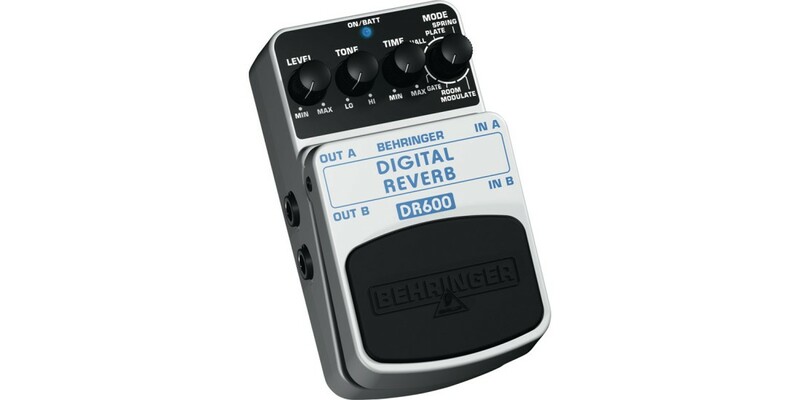 The rack-quality DR600 from BEHRINGER.